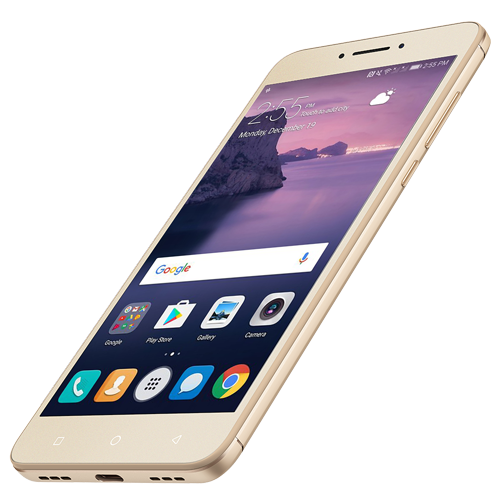 Coolpad, global leader in smartphone manufacturing and integrated wireless data solutions, unveiled its annual flagship Coolpad Cool Play 6. It will be available exclusively via Amazon in India. The smartphone, intended for heavy gamers, sports a high-grade metal body. The IPS LCD display measures 5.5-inch with resolution of 1920x1080 (FHD), giving a pixel density of over 400 ppi. Powering the Cool Play 6 is the monster mid-range processor, the Qualcomm Snapdragon 653 (MSM8976Pro Octa Core - 1.95 GHz Quad Core + 1.44 GHz Quad Core), while the graphics will be handled by Adreno 510 GPU. The smartphone offers 64 GB of internal memory and packs 6GB of RAM, making it the most affordable 6GB RAM smartphone in India. The primary camera is a dual 13 MP + 13 MP setup, with an aperture of f/2.2 while the selfie camera has an 8 MP sensor with an aperture of f/2.2. A 4000 mAh capacity non-removable Li-Po battery handles all these hardware with a claimed standby time of about 300 hours. The charging/data transfer port is USB Type-C. Other connectivity features are support for Dual SIM, Wi-Fi 802.11b/g/n and Bluetooth 4.1. The sensors included are accelerometer, fingerprint sensor, proximity sensor and light sensor. Measuring 152.7x75.4x8.05 mm, it weighs a hefty 177 grams. The smartphone will be running Android Nougat which will be upgraded to Android 8.0 Oreo by the end of this year. 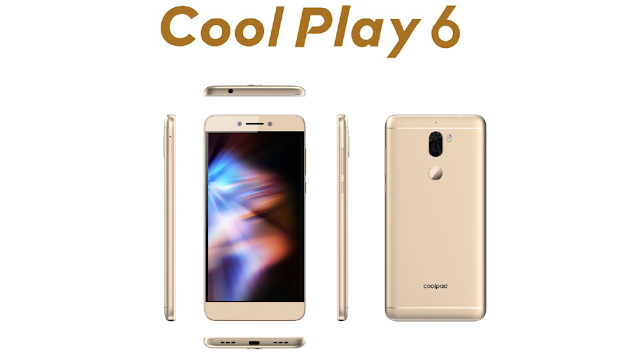 The Coolpad Cool Play 6 is priced at Rs. 14,999. It will be an Amazon.in exclusive and the sale will begin from 4th September 2017. It will be available in two colors - Gold and Black.